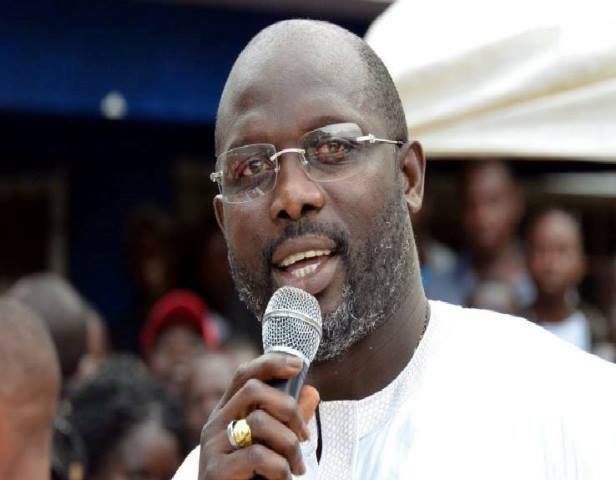 Members of the House of Representatives have given instruction to the Liberian President, George Manneh Weah ordering him to go all out to credit money for the development of Liberia under his presidency. The lawmakers mandate to the Liberian chief executive was contained in a resolution signed and submitted to the plenary of the House of Representatives for deliberations Tuesday, June 12, 2018 regular session. According to the lawmakers, their decision to submit this resolution is predicated upon the unanimous resolution of the Liberian people to petition the government of Liberia through their direct representatives, the lawmakers. “A resolution mandating executive to secure loan finances for the roads construction of critical corridors as stated herein. Honorable speaker, we are requesting the timely endorsement of this joint resolution in the interest of our people,” the lawmakers stated in a communication attached to the resolution. The lawmakers’ resolution is intended to mandate the President to lobby for more loans so as to connect the entire fifteen counties capitals and other feeder roads. “We the members of the Honorable House of Representatives and Senate do hereby authorize the President of the Republic of Liberia to employ all legal and legitimate means in securing Loan Financing Agreements for the construction of paved roads leading to the 15 counties of Liberia,” the Resolution said. The corridors include: Sawmill (Gbarpolu County) – Gbarma-Kongba-Vahu-Menekroma-Voinjama-Kolahun-Foya (Lofa); Bopolu-Belle; Zwedru-Fish town; Montserrado County Soul Clinic-Johnsonville-Mount Barclay-Tyler Island 72nd connection; Todee – Bomi Corridor; Neckley’s town-Rehab.-Pipeline-White plain corridor; Bong – Gbarpolu corridor – Bong – Bassa corridor and Formutolee Route; and Margibi – Bassa Corridor (Gibi – Bassa); Virginia-Arthington-Mount Coffee Corridor; Molton Corner-Suehn Mecca corridor; Saclepea – Butuo; Palala – Saclepea amongst others. Recently, both the House of Representatives and the Liberian Senate ratified into law two separate loan agreements aimed at addressing the same road crisis the country is today faced with. After deliberations, a motion was filed by Montserrado electoral district#13 Representative Saah Joseph for the resolution to be considered in totality, a decision overwhelmingly endorsed by the lawmakers. According to Article 34 (iii) of the 1986 Liberian Constitution, the Legislature shall have the power: no loans shall be raised by the Government on behalf of the Republic or guarantees given for any public institutions or authority otherwise than by or under the authority of a legislative enactment.